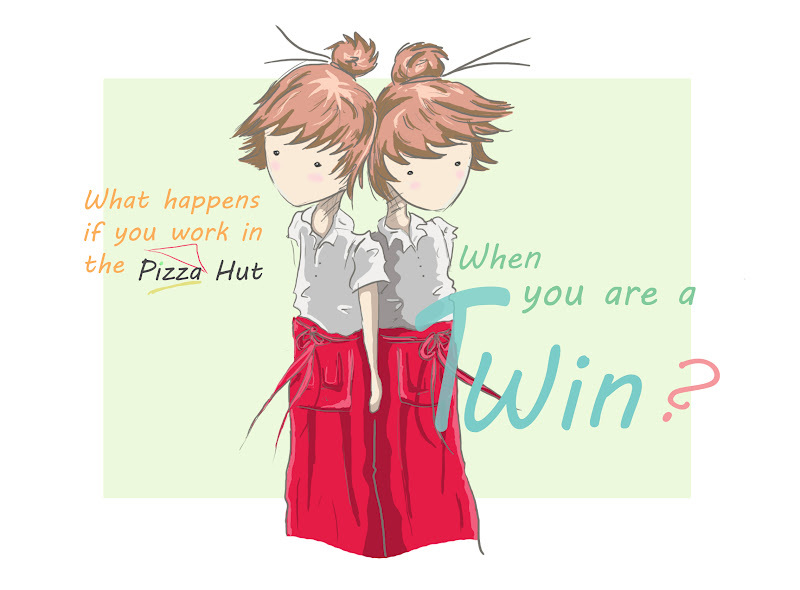 We are both working in the Pizza Hut, and most of the time people are asking: ' are you a twin?' 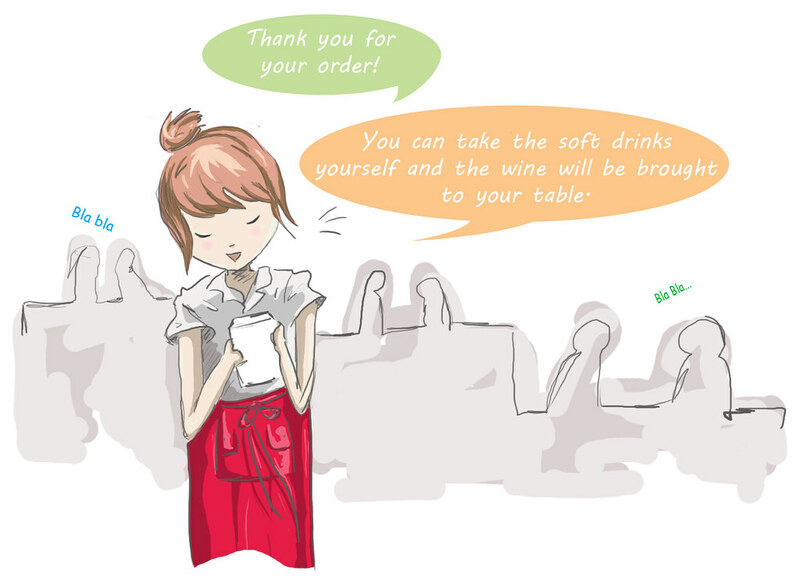 Or they are confused that the wine is already brought to his table, while that 'same' person just took their order. Still we're wearing different uniforms. We made a little story about it. Enjoy! Hahahahaha, so cute! My grandma and grandaunt were twins, too; Granny told me they used to have so much fun! i dont really understand the story line though...?? My sister and I worked at Pizza Hut when we were in high school and we used to have the same thing happen to us! We aren't twins but we looked pretty similar with the same uniform and hats on! 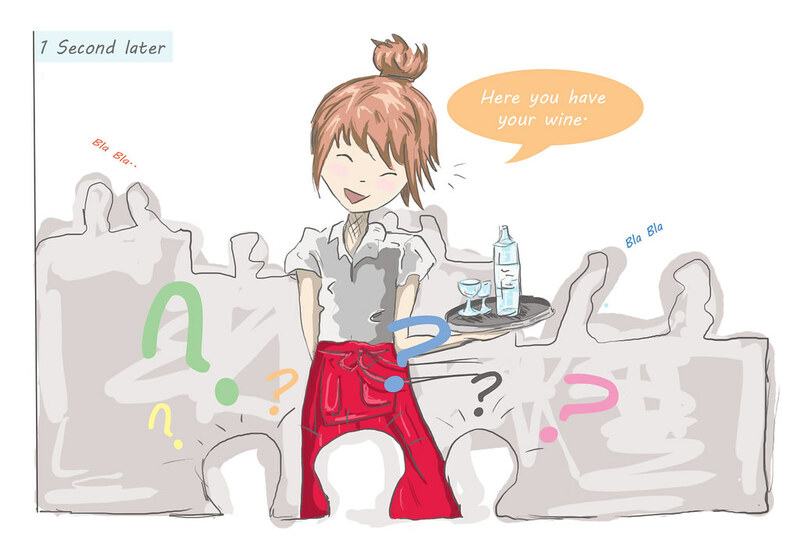 Super cute art btw! Haha, so adorable. I am not a twin, but I do look really similar to both my mum and my aunt, so many believe we are twins. Joan and I are monozygotic twins. In our High School days we worked in a old fashioned Soda Fountain in our hometown. 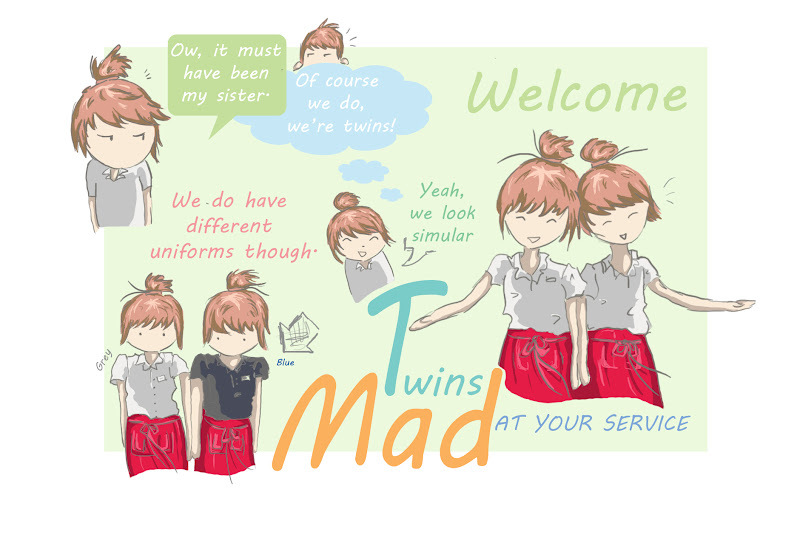 It never failed, customers would ask if we were twins...even if we were standing side by side.lol. We strive to look and act alike so there should be no doubt in anyone eyes that we are twins..
haha, such a funny story! :D i can't even imagine it! This is the cutest thing ever! You should make more of these :D Hahaha <3 I love it! The Mad Twins. Powered by .